Monday's Mischief - Please tell me you didn't need that bag mum? I'm fairly sure when we had Lottie we should have called her mischief as she seems to be getting up to a lot of it lately. Earlier today I was lying on the sofa as I cant do much at the moment due to my operation. 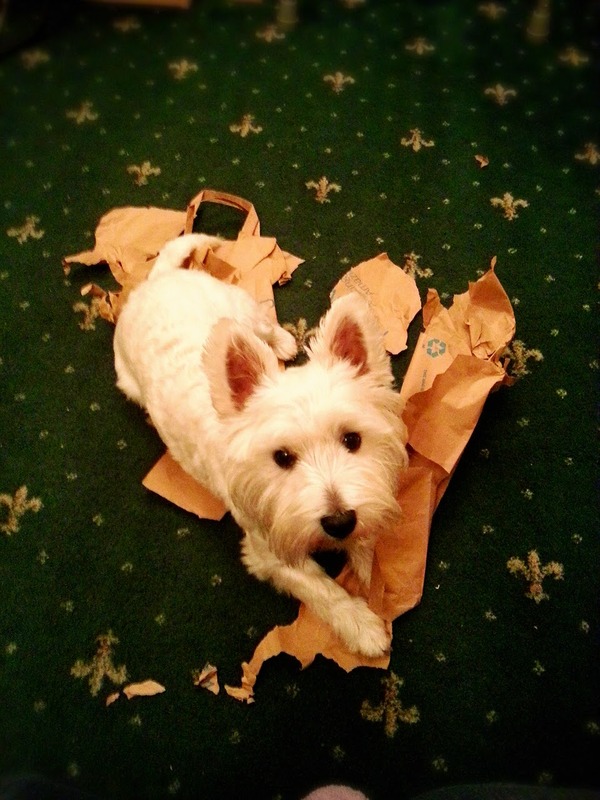 I could hear rustling in the bedroom and knew straight away Lottie was up to something! I called her but no response. I shouted louder and louder but still nothing. In the end I had to get my mum to go in to see what was happening. Here's the result! Needless to say she is in my bad books and a yummy treat will definitely be off the cards for tonight. 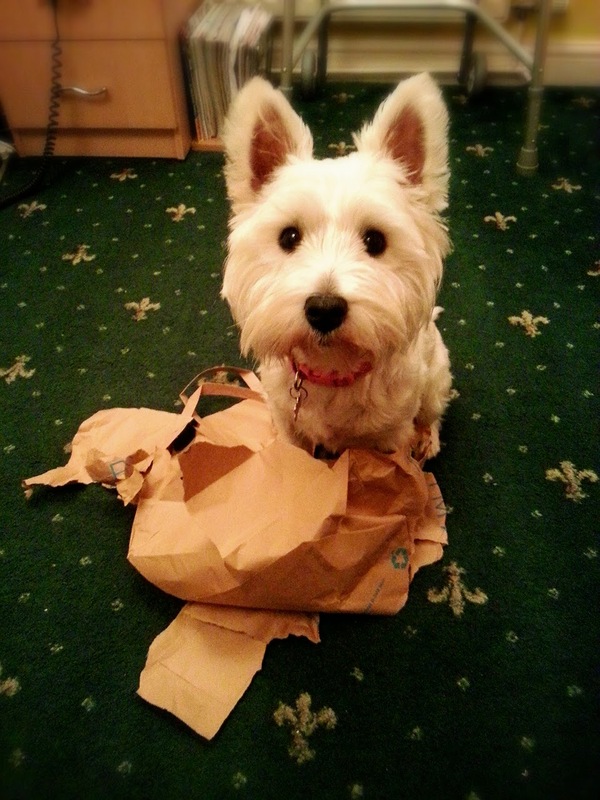 I am just so glad it was only a paper Primark bag she ripped and not something more important! (I didn't let her know that though, I acted as if it was my best pair of shoes). What it is with dogs and ripping things, Lottie loves tissues and if you leave one even just for a second its shredded more than shredded wheat! I'm sure Lottie knows about Monday Mischief blog hop as she always seems to do something so I have a post to write about. Maybe she is just trying to take my mind off my painful recovery. 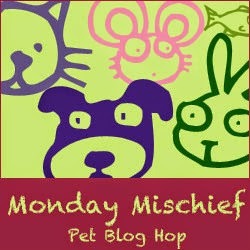 I am joining the Monday Mischief blog hop brought to you by Alfie’s Blog, Snoopy’s Dog Blog, My Brown Newfies. Tissues are constantly in danger here, bags no so much. However, if I leave the trash down when we go and there are tissue to be had, all bets are off. There's something about that sound of ripping that they just love...don't know what it is. Disability Awareness Series Part 2 | Thank you Mum, three little words that mean so much! - National Carer's Week 9-15th June, are you aware? 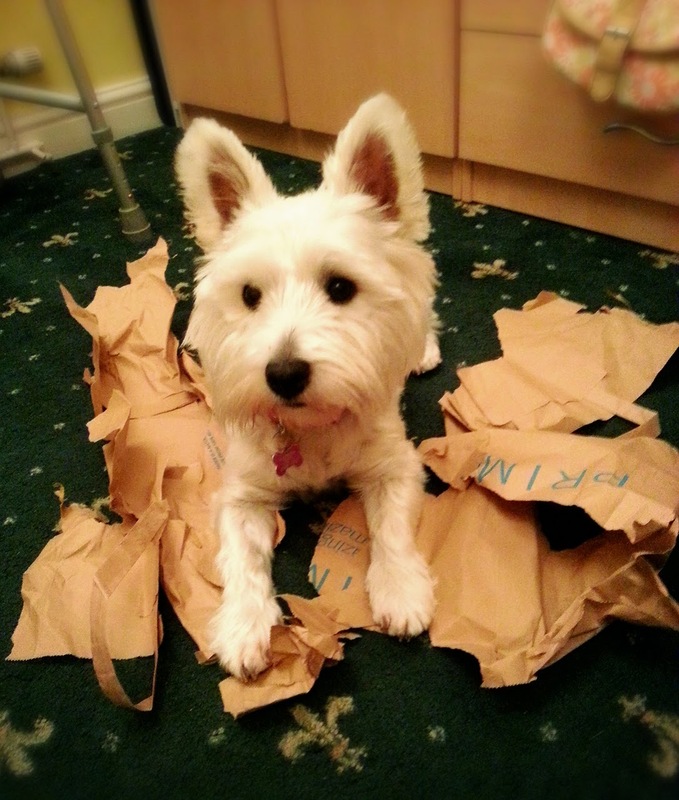 Celebrating 125 of years of Crufts.... and a giveaway! Your Special Pet Series | Lucy the rescue Cavalier. Black and White Sunday: The Best of Friends. Black & White Sunday - The bear necessities. Sepia Saturday | Its a bear thing! Normal cuddles are resumed.... nearly! © Waggy Tales. All rights reserved.